Put the sparkle into writing with this exciting all-new thesaurus, sure to inspire young writers with its zesty, colourful look. It’s a bright and beautiful book featuring thousands of lively word ideas – great for adding vitality to every type of written output. If you want to stretch the performance of young writers and encourage them to try out new vocabulary, this appealing book is the perfect place to start. 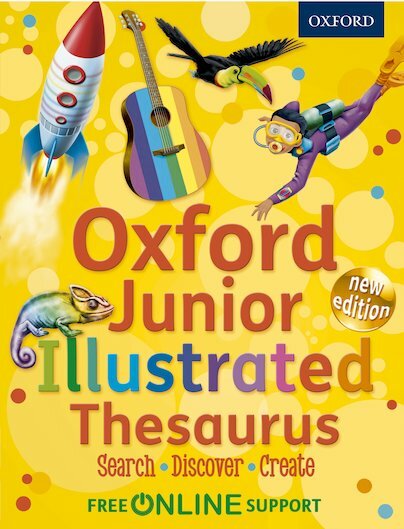 In a crisp contemporary format full of colour illustrations, it introduces all the synonyms a junior learner could possibly want. On top of this, they’ll find plenty of guidance on eliminating clichés, avoiding common confusions and writing for specific situations. Finally, a Top 10 Tips for Writing Stories section encourages them to get creative with their own fictional work.